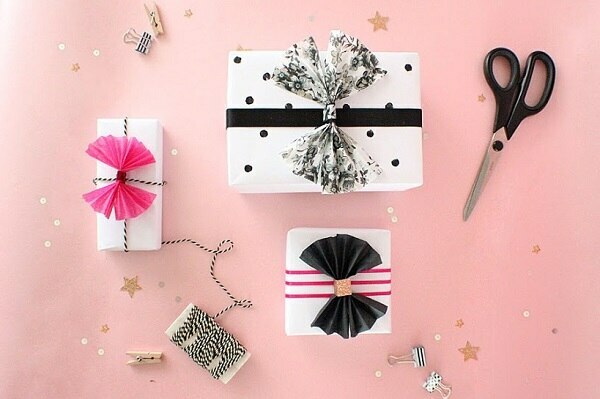 Make your holiday presents stand out from the crowd this year with playful, pretty, and creative gift wrapping ideas and methods. You’d be surprised how everyday crafting materials can beautify plain packaging, and recipients will appreciate the personalized touch. The one issue is they may have a hard time opening these festively adorned gifts. It’s a wrap! 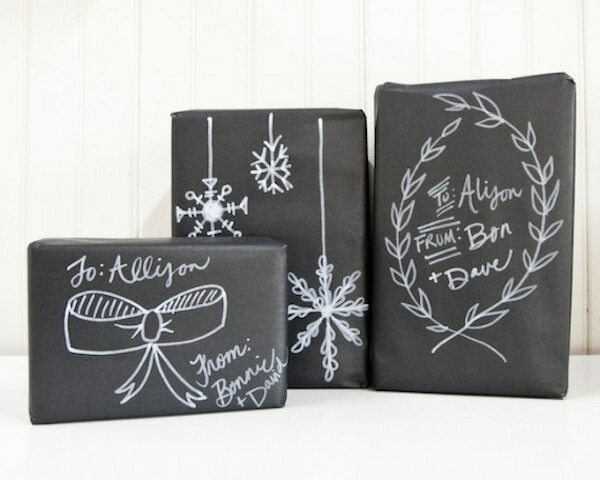 Keep it simple with white wrapping paper (printer paper would work for smaller trinkets) doodled on with black Sharpie. 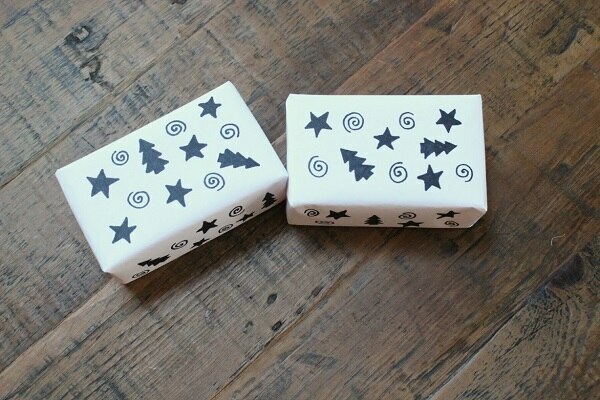 You can draw Christmas trees, curly cues, and stars as shown, or mix it up with various holiday and geometric motifs. If you don’t mind a bit of marker seeping through to the packaging underneath, doodle after you’ve wrapped the gift so you can plan the placement. Freehand doodle onto the white paper, drawing Christmas motifs such as a tree, or random designs like stars and curly cues. 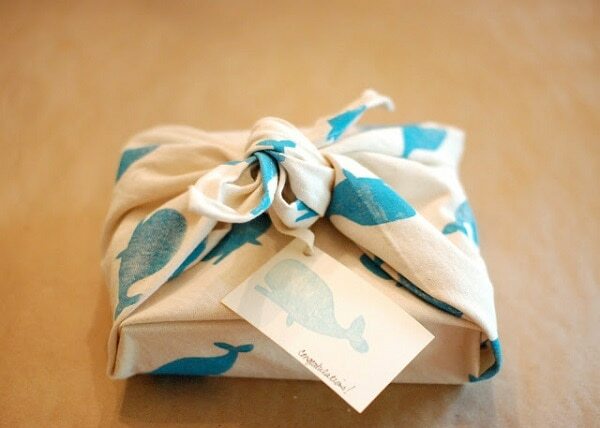 If you like, write the recipient’s name and/or a message directly onto the package. 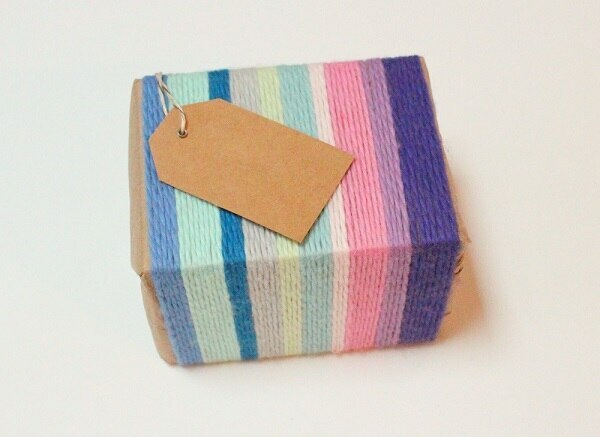 This is a perfect wrapping method for knitters with a large yarn stash to bust through. Start with a solidly colored paper base (brown kraft paper always does the trick) and wrap with strands of colorful yarn. 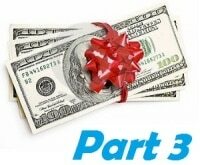 Vary the widths of each color, and use tape to secure the beginnings and ends on the bottom of the package. Ornaments aren’t just for hanging from a tree. 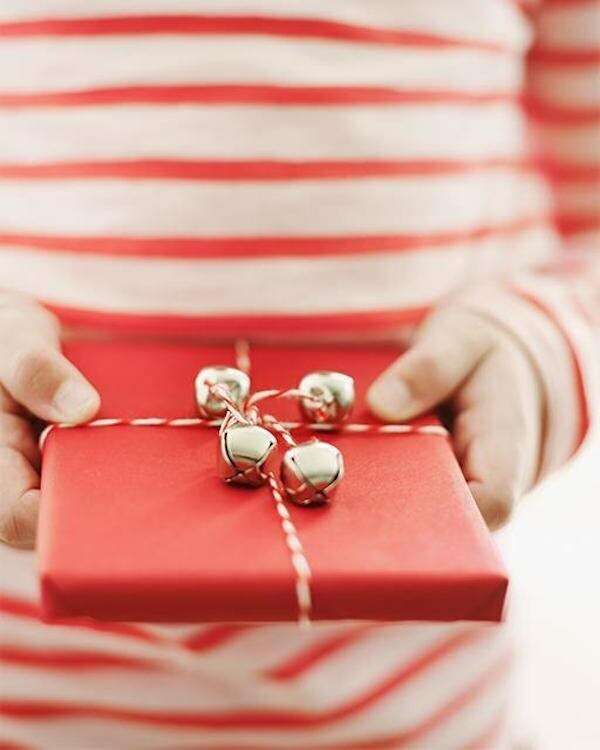 Dangle them from a package for a festive gift topper that’s a gift in and of itself. These multicolor disco ball ornaments are a great accent for polka dot paper and striped ribbon, but you can use any combination of color and pattern that you like. 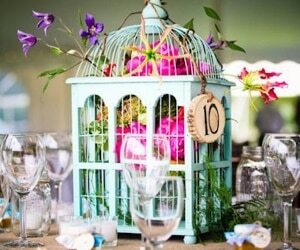 Greenery is a chic and elegant gift topper. Simple kraft paper and burlap ribbon are an appropriately understated base for a little homemade wreath that the recipient can hang on their wall after the gift has been opened. Give a bit of white Christmas to someone by topping their gift with a snowflake cutout. 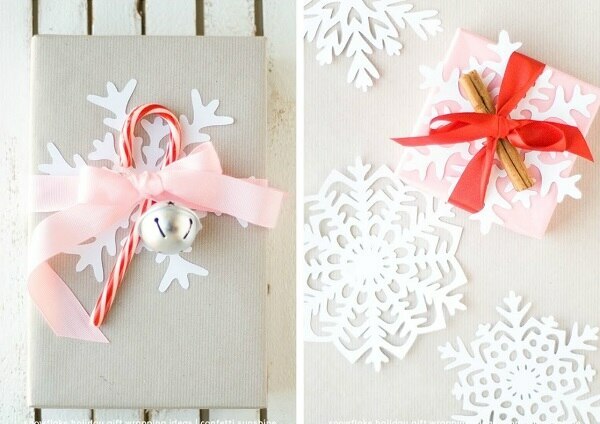 Simply tuck the snowflake under ribbon along with a trinket like a candy cane or cinnamon stick. Tis the season for sparkle! 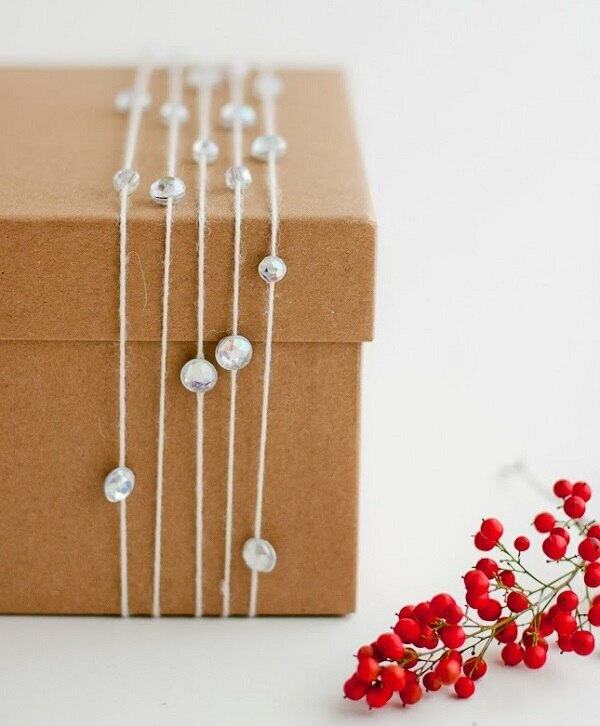 Give the gift of some holiday bling by dipping boxes in glitter so they’ll be just as fabulous as their contents. 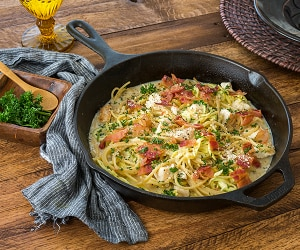 Top them off with a bit of twine and sprig of evergreen. 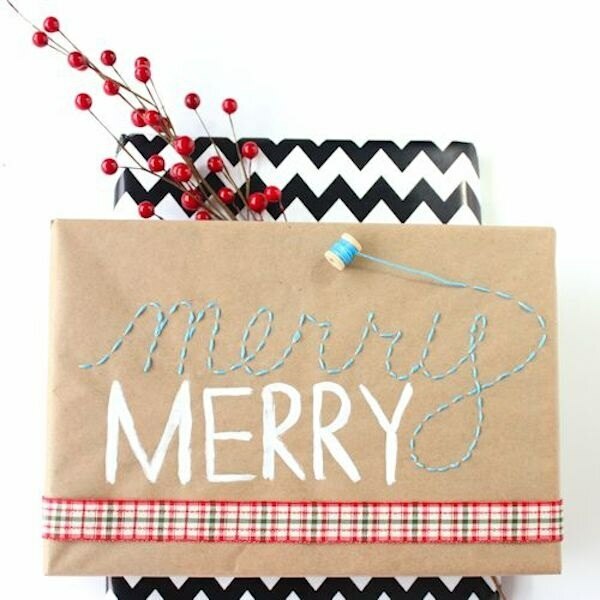 Stitching a message into kraft paper creates an unexpected and festive look. Finish it off with ribbon and a touch of greenery, and mirroring painted letters if you like. 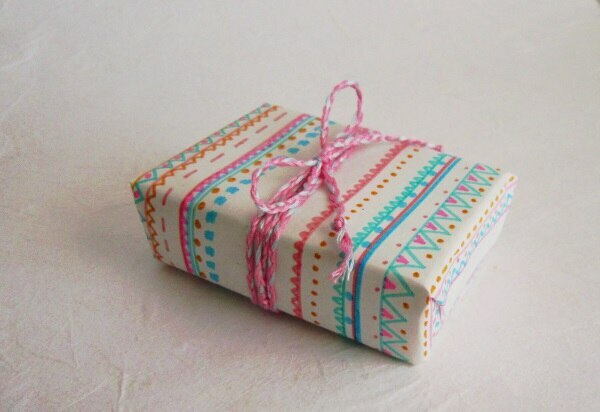 Just beware that this is a time-consuming way to prettify a present- so save it for that friend who will appreciate it! 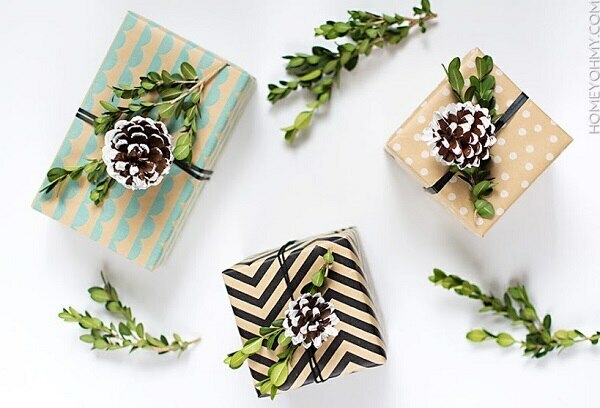 Natural and easy to create, these boxwood and pinecone gift toppers are a beautiful addition to geometric wrapping paper. 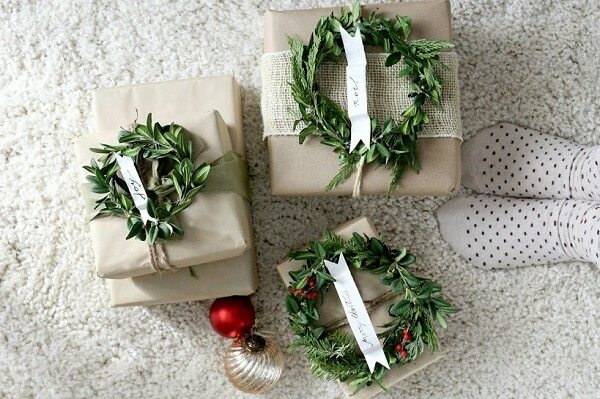 SImply slip the boxwood under string, and glue the pinecone on top. 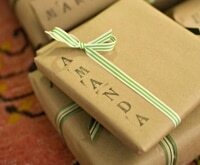 This is a playful way to jazz up a brown paper package. Coat puzzle pieces with chalkboard paint and write messages and/or the recipients name onto them, then slide under string. These fabulous bows are nothing more than folded tissue paper, secured in the middle with strips of cardboard (or ribbon). 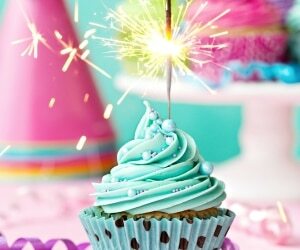 Since tissue paper comes in a wide range of colors and patterns, the design possibilities are endless. 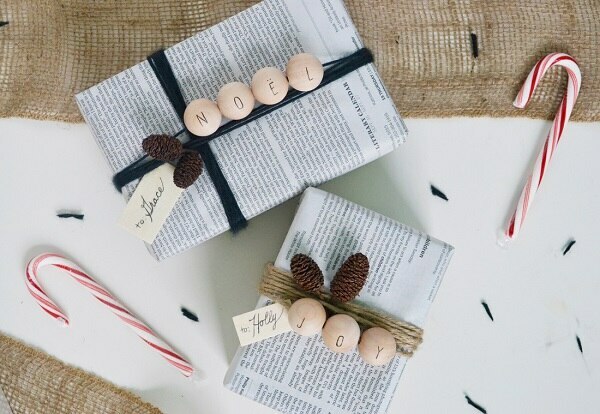 Big old wooden baubles are a stylish way to personalize a present. Spell out a sentiment or name on wooden beads and string them onto twine. Embellish with little pinecones or other accessories. 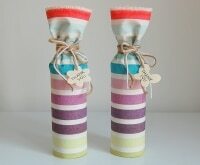 Use them to accompany any gift wrap you like, or newspaper as shown. 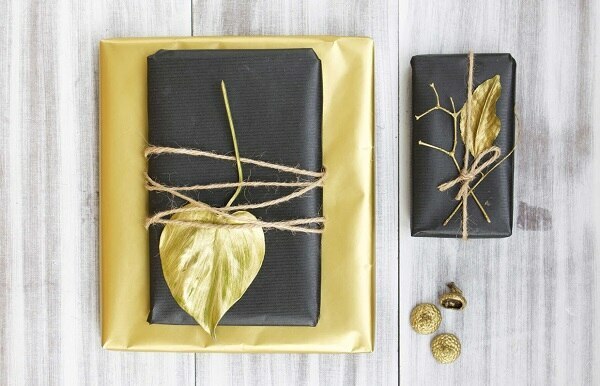 Transform a simple black wrapping job by embellishing it with a gold painted leaf. The metallic shimmer transforms fall’s remnants into perfect holiday accessories. No wrapping paper handy? Make your own navajo-inspired variety by coloring on white paper. Start by drawing parallel lines with a ruler, then fill in the between areas with geometric motifs. Pick your palette thoughtfully but don’t be afraid to break out of the usual holiday hues with pastels. 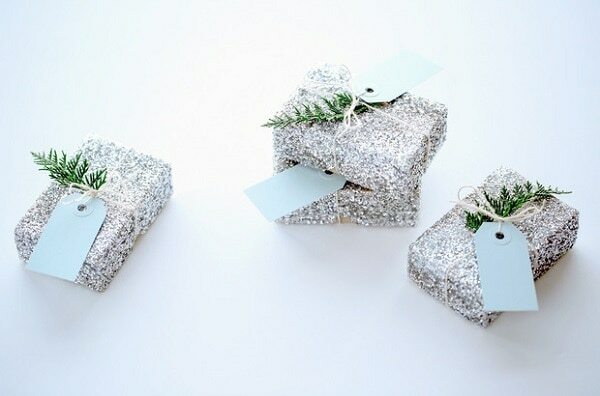 Add a little sparkle to your packaging with craft gems. 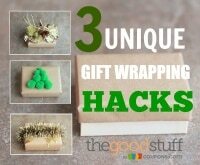 Simply glue them to yarn and wrap it around the edge of one gift. A sprig of red berries adds eye catching contrast. 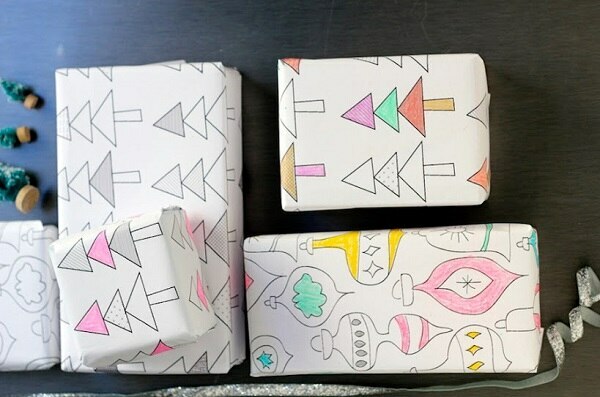 Kids will love coloring in the black outlines of holiday motifs on this wrapping paper, making each package unique. You could create your own paper starting with a white base and black pen, or use the free printable. OK, it only looks like chalkboard, but the effect of white craft marker on black paper is just as cool. Not all pens work equally well so test them first (or check out the blogger’s helpful reviews). Then write messages and Christmasy doodles on the packaging. 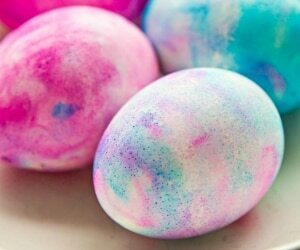 Mixing mediums is a sure way to add visual interest. 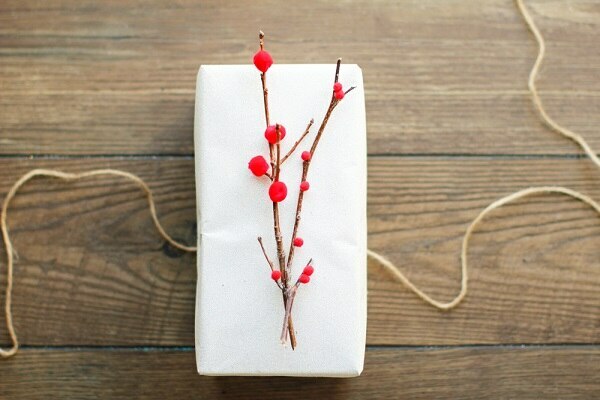 This clever package topper is a real twig adorned with little red pompoms. Stick it on an understated white package for a pop of holiday spirit. A little jingle goes a long way. 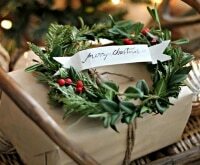 Wrap a gift in festive red and white bakers twine, then adhere a jingle bell to each of the four ends. Cover a package in lots of little rudolphs. 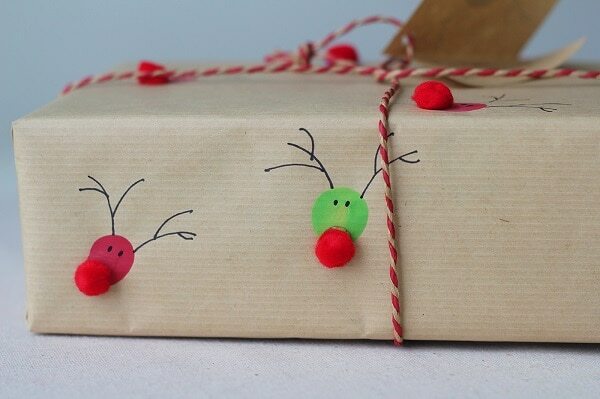 To make, stamp fingerprints onto kraft paper with colorful paints, draw on antlers and a face with black pen, and give them a fuzzy red pompom nose. 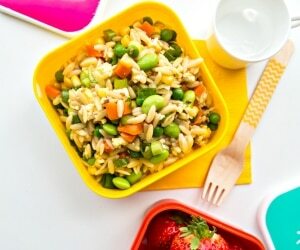 Kids will love creating (or receiving) this packaging, and it’s almost too cute to open. Channel your inner Pollock to create simply chic packing. Just flick white paint onto craft paper, standing a few feet away while you do so. Work on large pieces of wrapping paper at a time, rolling it up for storage after a few hours. 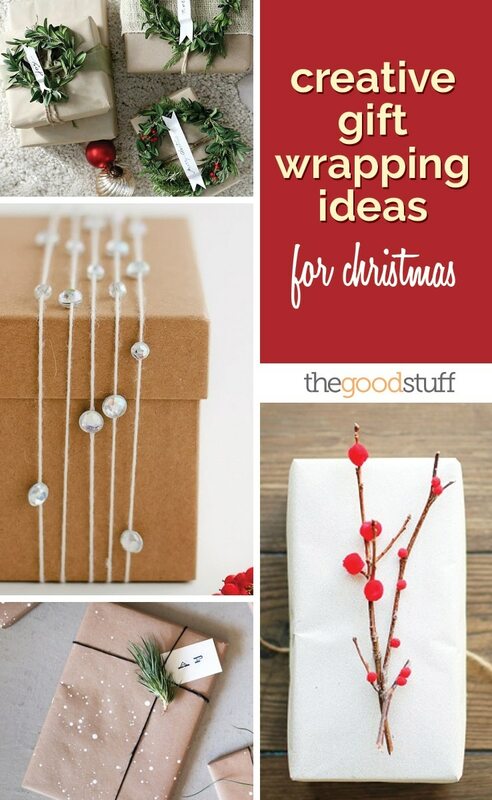 When it’s ready to use, finish off the wrapping with string and a touch of greenery. 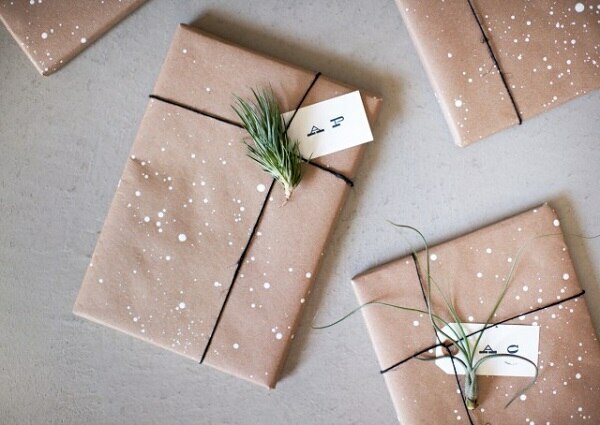 These clever packaging ideas will help little ones pass the time before present opening. 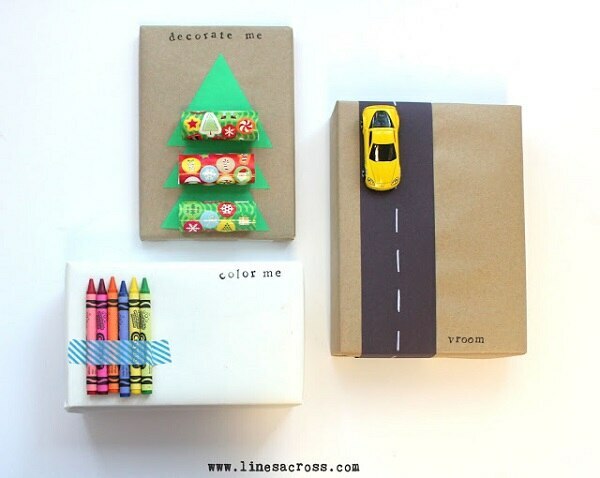 Make a mini race car track route, a tree to be decorated with stickers, or plane white packaging ready to be crayoned. You may have to remind kids to actually unwrap them! Wrap a bunch of buttons in different sizes and colors around a plane paper base. You could cover the package all over, as shown, or just do a couple buttons on one end. Crafty recipients will appreciate a new collection of buttons. 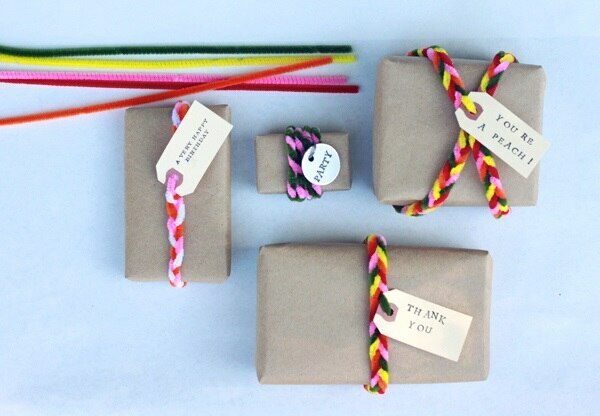 Braided and twisted pipe cleaners add a pop of texture and color to packaging. 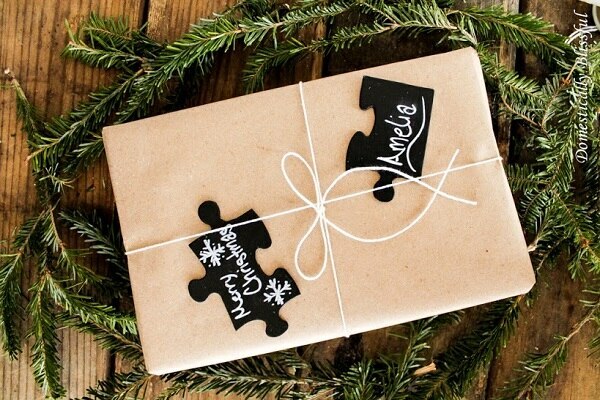 Slip a gift tag in as you weave, and wrap them around the middle of a gift. 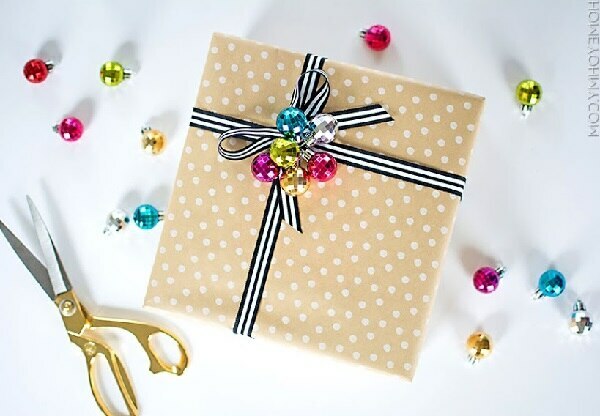 Skip the paper and wrap a gift in pretty fabric. 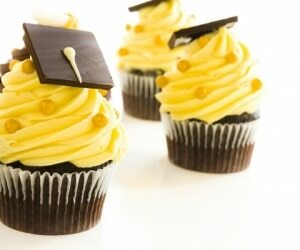 Tying it means you won’t need ribbon or tape. 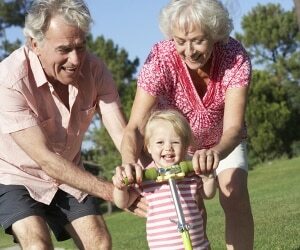 You can use any beautifully patterned fabric or scarf, or stamp your own design. Add some dimension to your gift giving with a little winter wonderland. 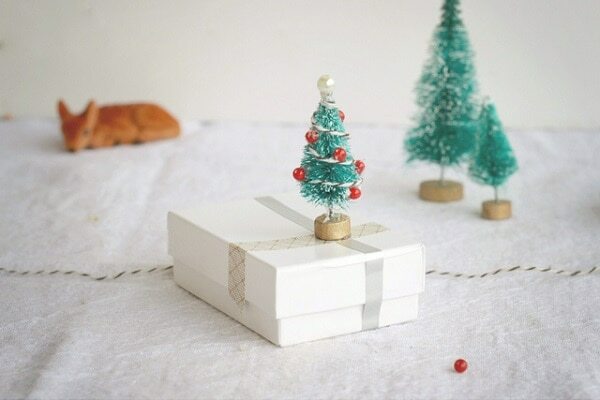 Simply decorate a mini tree with bakers twine and red beads, then use it to top a present. These eye-catching felt flowers are way cooler than your average bow. 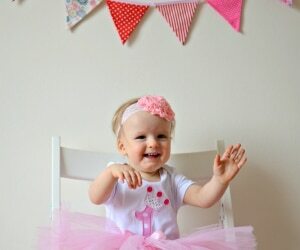 Make your own with folded felt circles, and string them onto a string or thick ribbon. 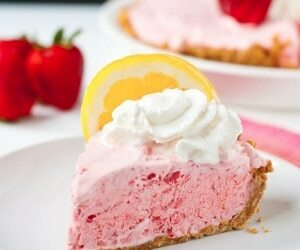 An all white is classy, but you could use any color you like to match your packaging theme. 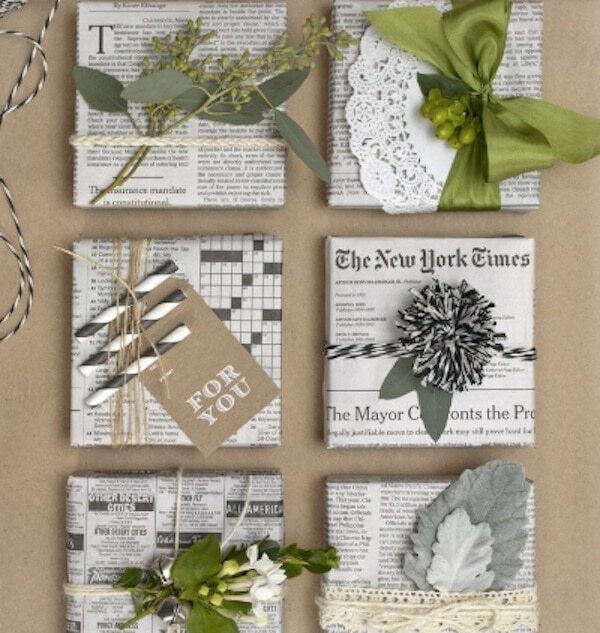 Yesterday’s news can become today’s fabulous gift wrap with doilies, bakers twine, lace, greenery… you name it. 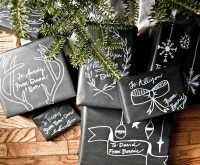 Black and white looks lovely with a touch of kraft paper brown, or a pop of festive green. It’s a party in a box- or in this case, on a box. 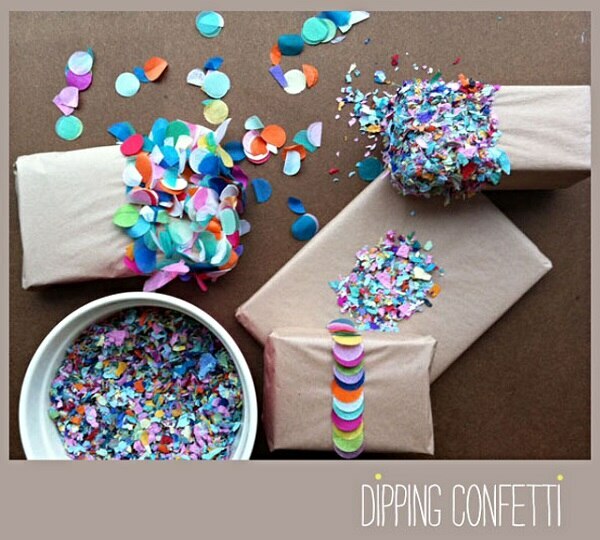 To create this eye catching wrapping upgrade, make your own confetti (you could buy your own, too) in varying sizes. 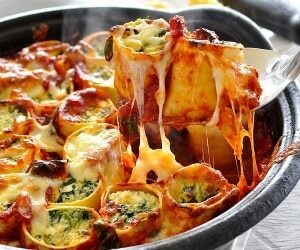 Cover a portion of the packaged present in double-sided tape and dip away. 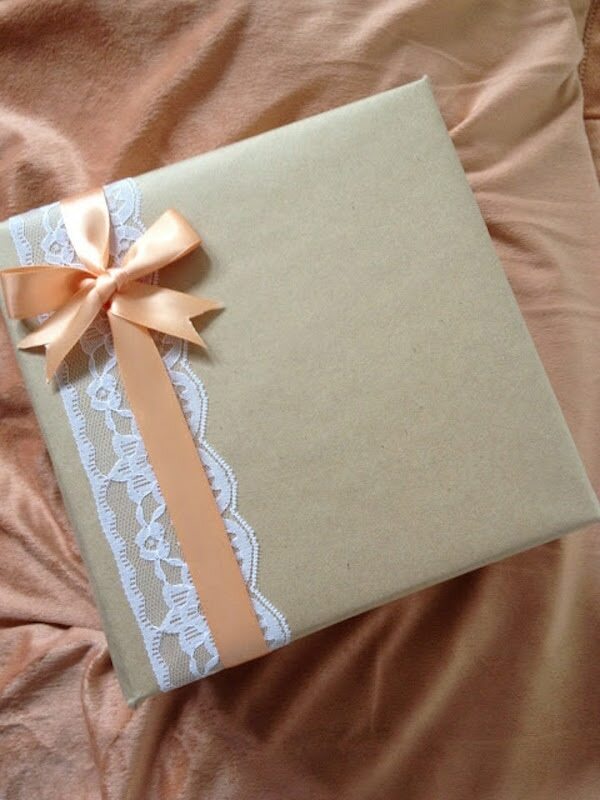 Add some elegance to your present with a layer of lace underneath a wide ribbon and bow. Perfect for the girly girl you’ll be gifting this year. Harken back to your youth with these crafty gift toppers made out of perler beads. 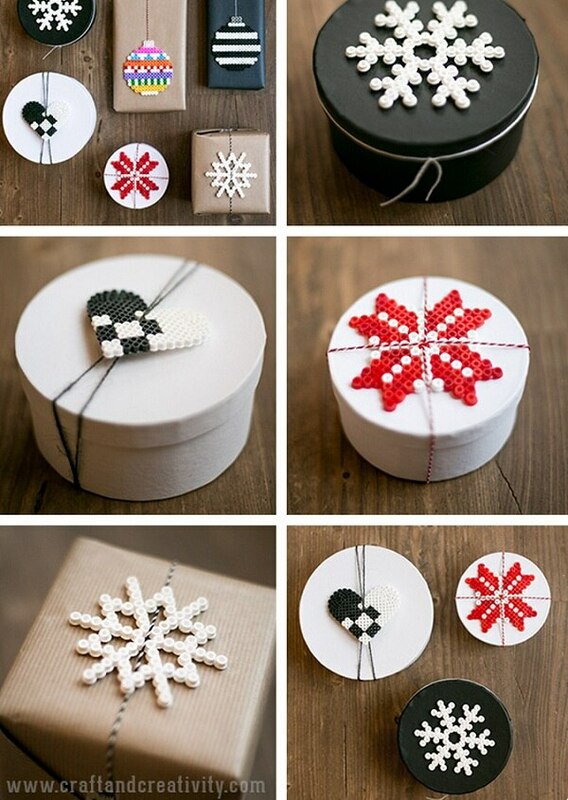 Simply arrange your design of choosing (ornament, snowflake, heart, etc.) on the pegboard, iron thoroughly, and glue the resulting bauble to the top of a package. 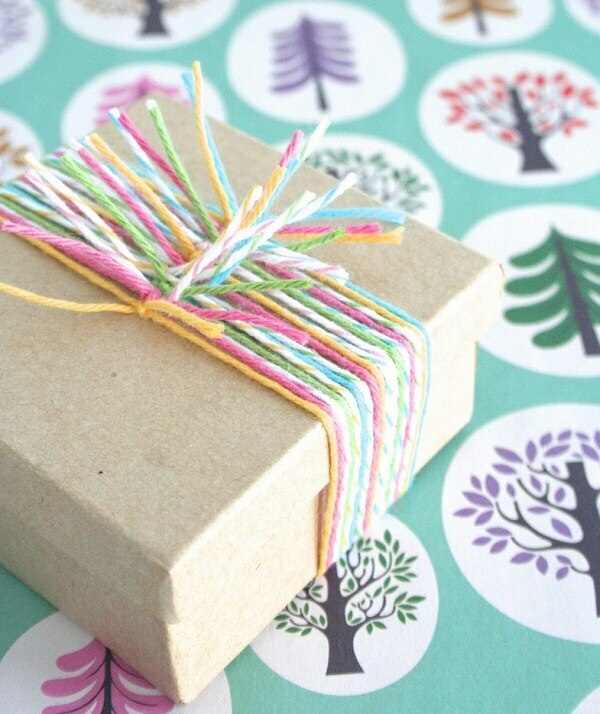 Just a few strands of colorful twine will instantly brighten up your gift giving. 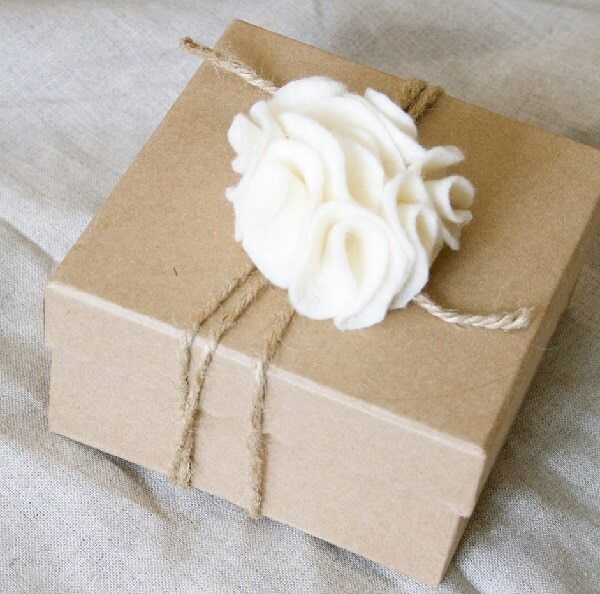 Wrap single strands around a box and tie them on top, leaving long ends. This holiday season, make your gifts just as delightful on the outside as they are on the inside. 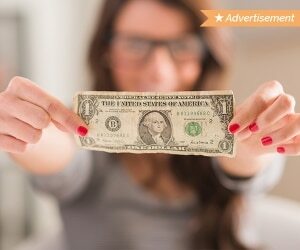 You can be as ambitious as you like with stamps, paint and construction, or keep it simple with surprising upgrades to everyday materials like newspaper and yarn. Either way, eye catching adornments ensure your packages won’t get lost in the shuffle. 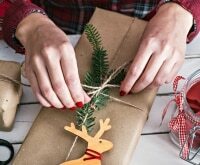 But if you’re not in the mood to DIY, then try out these time-saving gift wrapping ideas instead.